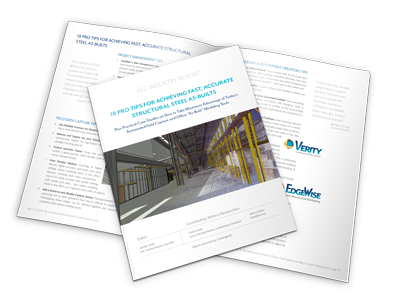 Download our newest report to learn how using laser scanning and automated modeling technologies can allow you to gain competitive advantage by saving you significant amounts of time and money! This report was created based on our highly successful “As-Built Structure Scanning & Modeling Techniques, Tips and Hacks” webinar for which nearly 700 construction professionals registered. Insights on two case studies featuring Jake Allen of Allen Construction Services, Greg Hale of Hale TiP and Robert Di Donato of Cadworks are presented along with 18 of their most valuable tips for achieving efficient and accurate structural as-builts you can easily apply today! Something to keep in mind when deciding on the accuracy, modeling time and methodology you need in your projects. Once you submit the form, your copy of the report will be emailed to you, so please verify that your email address is accurate before submitting.